This article looks at some fun and interesting facts about solar energy. By reading the article, you’ll discover 15 key facts that you should know about solar panels. First up in our list covers what solar energy actually is. We define solar energy as radiant energy emitted by the sun. This essentially refers to the solar radiation that the sun emits in all directions. Some of this energy eventually reaches the earth and is vital in helping to warm our planet and sustain life on earth. We can use solar energy to generate electricity. This involves a process known as the photovoltaic effect which results in the creation of voltage and current in a given material when it is exposed to sunlight. Fact #3 – Who Discovered Solar PV? 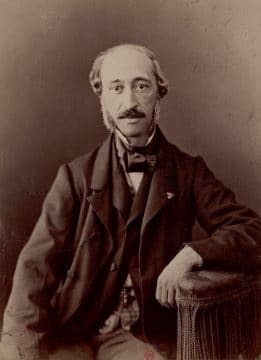 Alexandre-Edmond Becquerel discovered the photovoltaic effect in 1839. Two different types of solar panel exist – solar photovoltaic panels and solar thermal collectors. The difference between the two is that solar PV generates electricity whereas solar thermal heats a fluid as part of a solar hot water system. Solar PV is more common than solar thermal, but both have their advantages in specific use cases. In large scale solar PV installations, multiple solar panels are linked together in one system. This helps to boost power capacity and generate significant quantities of electricity. We commonly refer to such installations as solar farms. Solar energy is a renewable and abundant energy source. This means it will never run out – at least not whilst the earth can support life. This is one of the key points in our list of solar energy facts. When we use renewable sources, we help to conserve natural resources such as coal, oil, and gas. These fossil fuels are non-renewable and will one day run out. It is therefore important that we conserve as many of these resources as possible for future generations. Using solar energy to generate electricity is an environmentally friendly alternative to using fossil fuels. When we burn fossil fuels to generate electricity, significant levels of carbon dioxide and other greenhouse gases are released into the atmosphere. These gases are not only harmful to the environment and the air we breathe, but they also contribute to climate change. Consuming more solar energy for electricity production is vital for the future of our planet. By using this clean and renewable energy source, we are reducing the levels of greenhouse gases produced by man. This helps to reduce the effect that humans are having on climate change and global warming. It may surprise you that China is the biggest user of solar energy. In fact, due to the country’s size and population, China is the largest consumer of many renewable energy sources. At the end of 2017, China had a solar energy capacity of 130,646 MW. To put this into perspective, all countries from the European continent had a combined total capacity of just 111,789 MW for the same period. This data is according to a 2018 report on renewable energy statistics released by the International Renewable Energy Association (IRENA). It may be no surprise to you that in North America, the United States has the largest solar energy capacity. The table below shows how the US is leading the way in solar technologies within the North American continent. This data is also based on the 2018 renewable energy statistics report from IRENA. Table 1: North American solar energy capacity by country at the end of 2017. Yes, solar energy can even be used to power an airplane! The Solar Impulse project is a key example of how solar energy has the potential to transform transportation of the future. This project saw pilots Bertrand Piccard and André Borschberg successfully complete a round-the-world flight in 2016 using a solar-powered plane. Interested? You can learn more about their adventure here. 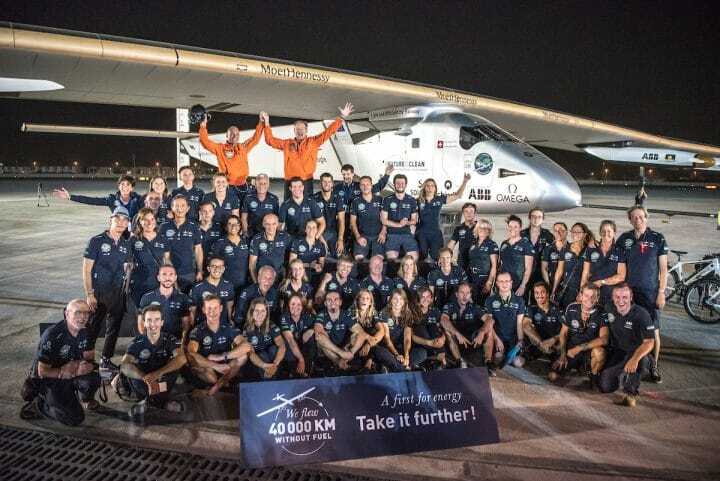 The Solar Impulse team after completing the first Roud-The-World Solar flight. Photo Credit – Solar Impulse. Solar energy has the potential to bring power supplies to remote communities and small outposts. This has numerous benefits, the main one being that it avoids having to run power cables to remote locations. Similar to number eleven in our list of interesting solar energy facts is that solar energy can power satellites. Without the use of solar energy, it would be practically impossible to offer a commercially viable means of electricity supply for the world’s satellites. Such devices require constant power to operate. Whilst this could be achieved with the use of batteries, it would be impractical and a financial nightmare to replace them when they run out. Based on 2018’s data from IRENA, the world had a total solar energy capacity of 389,572 MW at the end of 2017. This shows how vital solar energy is to the renewable energy industry. This fact may surprise those who believe solar energy is the most popular renewable energy source. Whilst it is indeed the most popular energy source for many home-based renewable energy systems, wind energy has a greater capacity. In 2017, global wind energy capacity was around 125,000 MW more than solar energy. This is largely due to the fact that wind turbines are able to generate far more electricity than small-scale solar installations. It may be even more surprising to you that hydropower generated more than double the amount of electricity than wind energy in 2017. Last up in our list of 15 solar energy facts is that solar energy can actually save you money. When solar panels are installed under the right conditions, they can offer a return on investment (ROI) over their lifetime. Whilst the initial cost of solar photovoltaic cells is quite high, a solar panel system will help to reduce your energy bills. As solar cells generate electricity, this can be used in replace of the electricity you would normally buy from your utility company. These savings can help pay for the cost of a solar installation over time. Couple this with federal tax credits and the possibility of net metering, and you may be able to accelerate ROI for your home solar energy installation.